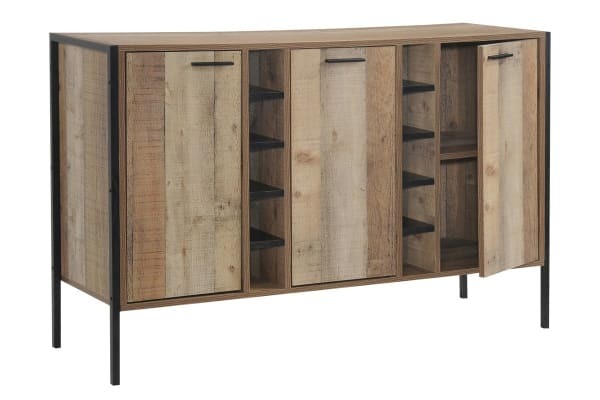 Made from natural wood like Particle board, this Wine Cabinet has a classic look that will suit in any place. It not only just looks like wood but also in no way inferior to it. It also has an even density throughout and is smooth on both sides. So, you are getting all wood like facilities in a much cheaper price. Coordinate it with other pieces from the Mascot collection for a complete look. 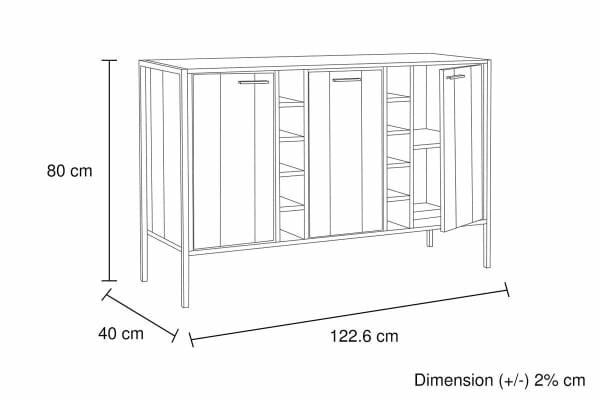 It has plenty of storage shelves. Some of them are open and some of them are kept hidden with particle boards. There are metal made handles on the particle boards which will let you open the boards without any hindrance. The item features an attractive oak finish and a black metal border line. The handles of the storage tiers are also made of metal so that it creates harmony altogether. Metal handles are provided for each storage tier to let you pull out them easily and smoothly. Handles are slim in size so that there remains relatively less chance of collision. 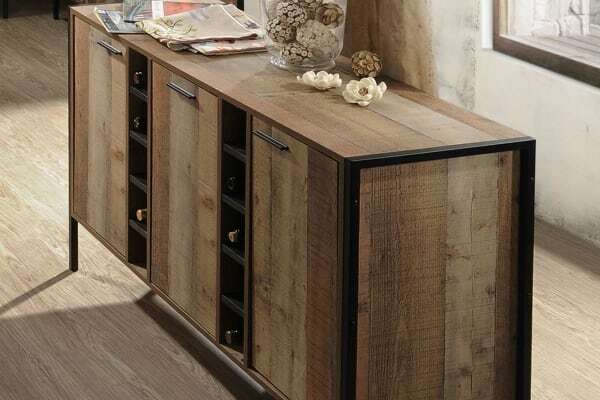 Mascot Wine Cabinet is elevated with strong metal legs which make it firm and sturdy and keeps it a little high from the ground which enables you to clean away the dirt and dust underneath it.